View cart “Aloeclear ULTRA” has been added to your cart. 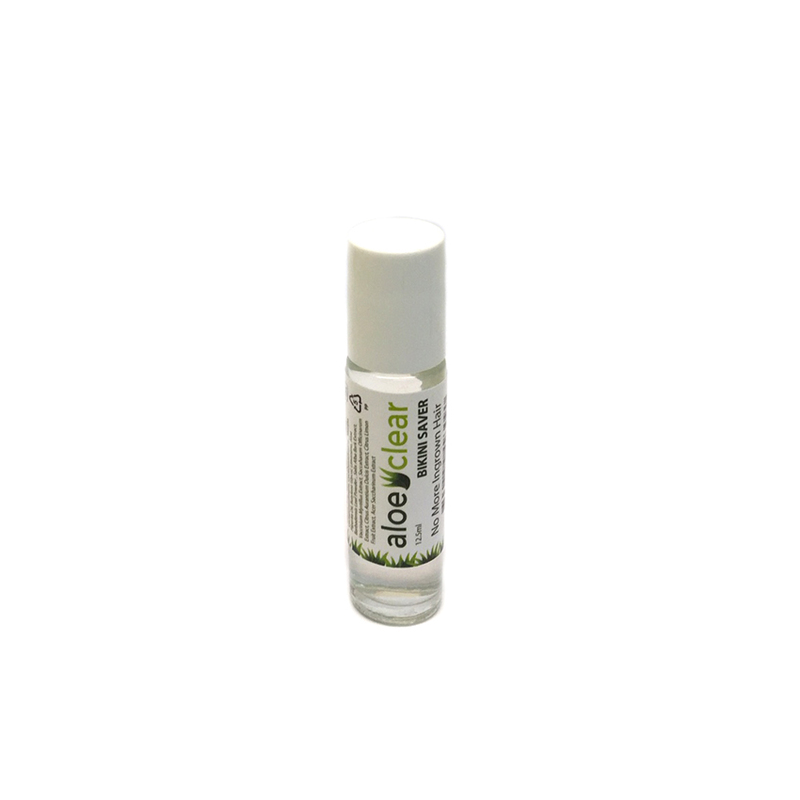 Aloe Clear Bikini Saver is a lip balm sized roll on that is enough to treat a Bikini line for up to 5 days or to individually target stubborn pre existing ingrown hairs. Bikini Saver is the 10ml trial size of Aloeclear and is convenient to use “on the go”, being small enough to carry in your purse or pocket. NEW larger size! Aloe Clear Bikini Saver is compact sized roll on that is enough to treat a Bikini line for up to 14 days or to individually target stubborn pre-existing ingrown hairs. Bikini Saver is the 12.5ml trial size of Aloeclear and is convenient to use “on the go”, being small enough to carry in your purse or pocket. This compact roll on is also ideal for use after eyebrow threading and waxing, being very precise. Aloe Clear Bikini Saver 10ml is essentially a trial size Aloeclear and can be quickly and accurately re-applied throughout the day to suborn ingrows. 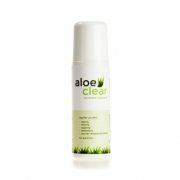 The soothing effect of Aloe clear is instant, cooling and soothing. Relief is immediate thanks to its advanced cooling formulation. 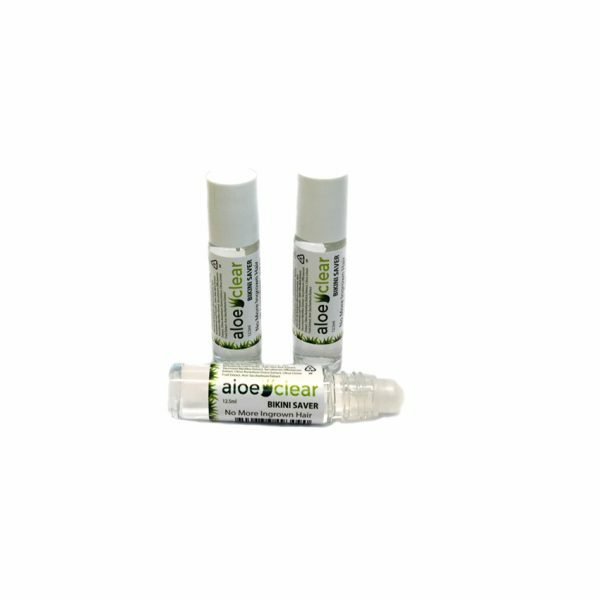 This unique roll on gel was specifically developed by our UK laboratory, as a prevention system that tackles ingrown hairs and the problems that hair removal can cause. Results in just 48 hours.